Starting to look at the several dozen photos I took at the Saanich Bike Festival back on April 19th. I’ve been given a Canon 50D DSLR by my father, who has upgraded himself to a very, very shiny 7D, so I took the new-to-me camera out to the Festival to fire off a few shots. I’ve never used RAW before, it’s been years since I handled an SLR, and I’ve never really used a DSLR, so the learning curve is fairly steep. It’s nice having a full-size camera again, though, and even though I’m still at the “no idea what I’m doing” stage the difference in photo quality is pretty obvious. 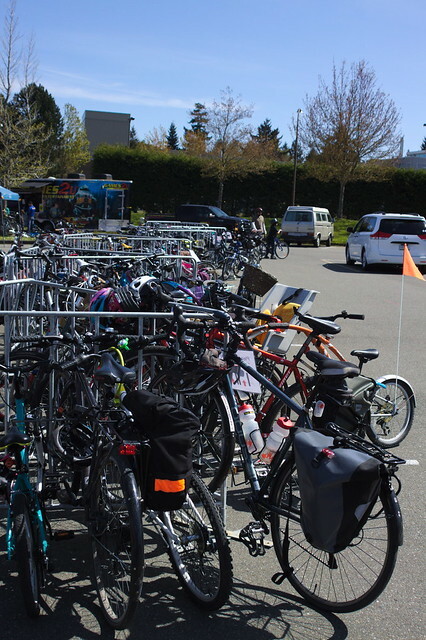 The Saanich Bike Festival itself was a lot of fun. 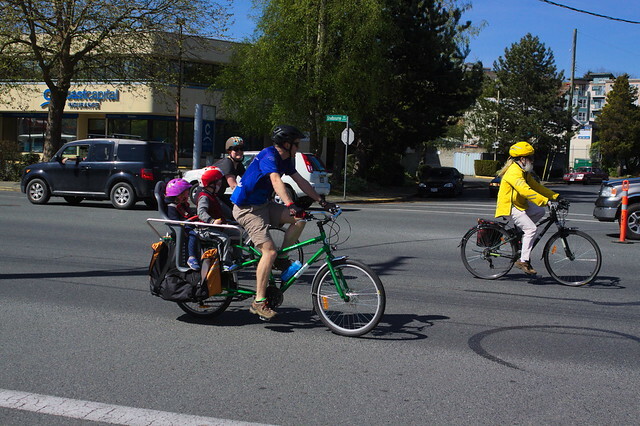 The weather was gorgeous, I only dealt with a couple of dumb aggro drivers while I was being a volunteer road marshal (ie, human road barricade) during the bike parade up Shelbourne Street, there was a great turnout, and it was just nice to see so many people enjoying bikes! Here’s a couple of photos; there’s a lot more waiting to be processed on my computer as I get to them and figure out RAW file processing. I still don’t have the colour and contrast quite right, and I’m honestly not sure if that’s because of the camera settings or the RAW processing settings I’m using. Further experimentation will have to take place.